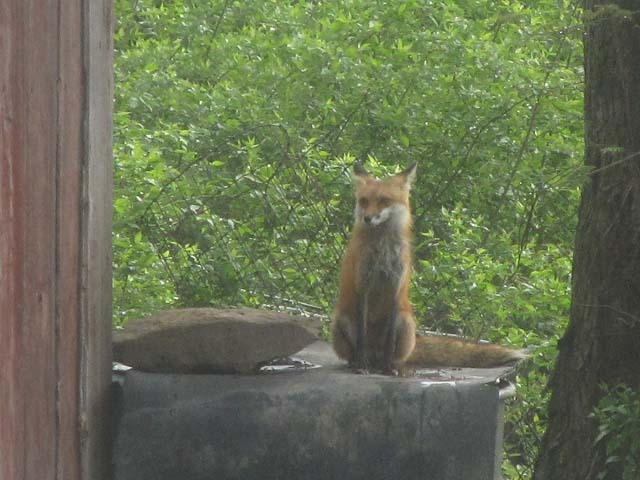 I photographed the foxes in our yard for the first time this year on April 15. 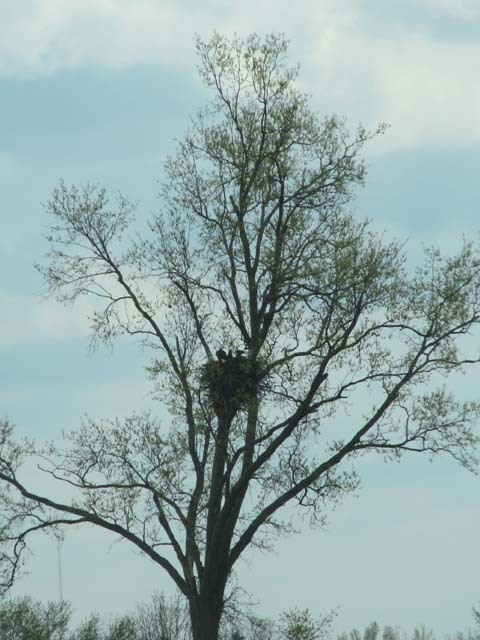 I was so excited, I thought it would make a special day even more special to visit the bald eagle nest too. The day was cloudy and windy. I don’t like to get too close to the nest and possibly stress the parents. Obviously, the one on the left is young … and bigger than I expected. There’s such a feeling to be in the presence of eagles. 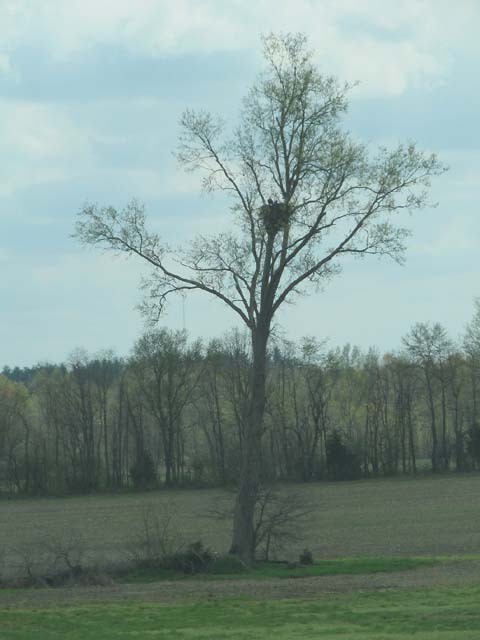 This picture shows 3 in the nest. 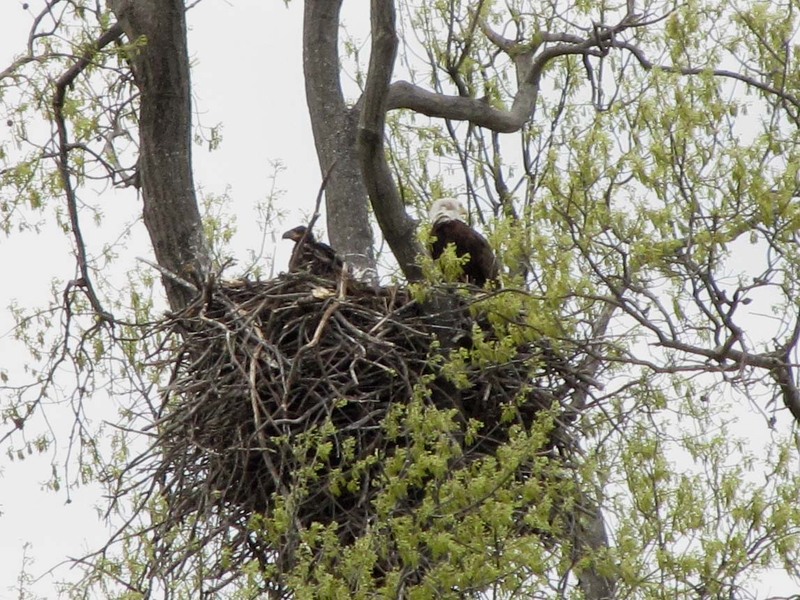 From a couple of my other pictures, there’s at least 2 eaglets. This tree lost a whole trunk 3 or 4 years ago. 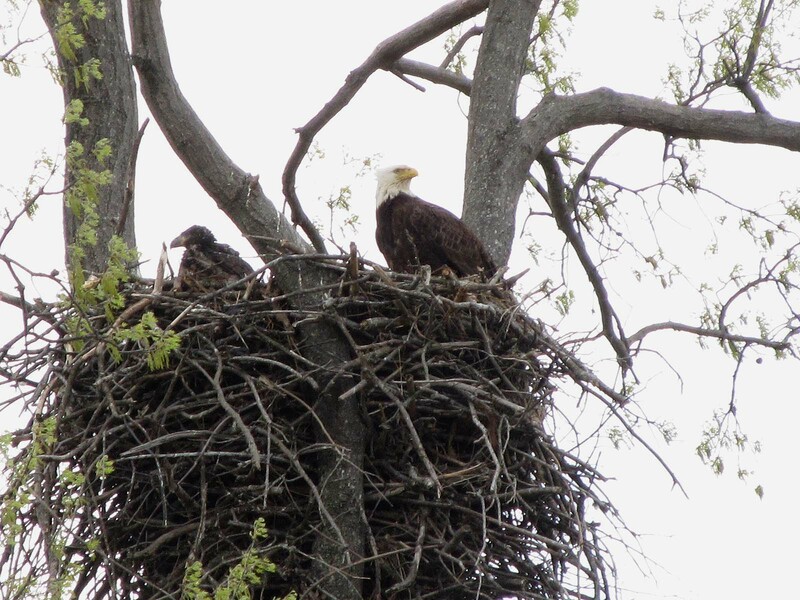 Eagles will use the same nest every year until something happens to the tree. I do hope that time is a long way away. So I had my day with both the foxes and the eagles. Now you can to. You’re welcome. THe bad news is that I haven’t seen the foxes for a while. So, I do so hope they return to the barn. It was May 9 last year when saw for the first time. My fingers are crossed. You’re lucky to live in a place that has so much wildlife that is easily seen. We have plenty here too, but other than the occasional bear wandering through the yard, most of it isn’t easily seen. Illinois is flat down to 6-7 miles south of our house (results of a glacier). The whole southern part is hilly. So, there’s a variety of habitat. My 33 acres are just past where the hills start. So, we have variety! Thanks for sharing! I can feel the different energies if fox and eagles. I’m not feeling fox energies. They aren’t under the barn now for some reason. It was May 9 last year when I first saw them. So, let’s keep our fingers crossed. Thanks, It’s not the easiest place to get pictures. And I use a Canon Powershot. They’re just so big, a commanding presence. A super great day! Great eagle photos and the fox too. 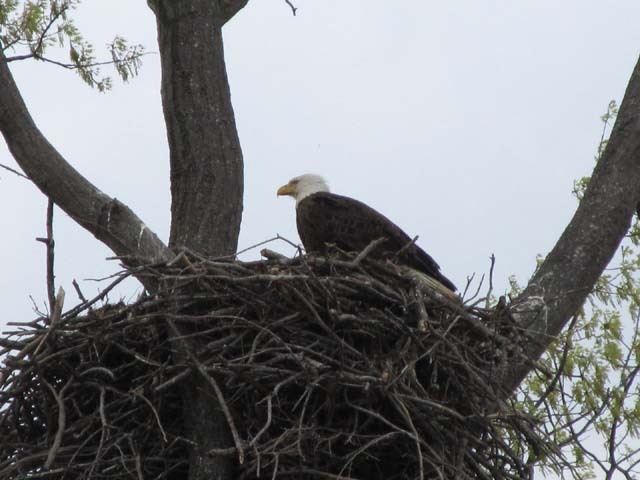 Eagle sightings rock! I get excited every time. I haven’t been to see the eagles and should. Our weather hasn’t been the best this spring. Ugh.